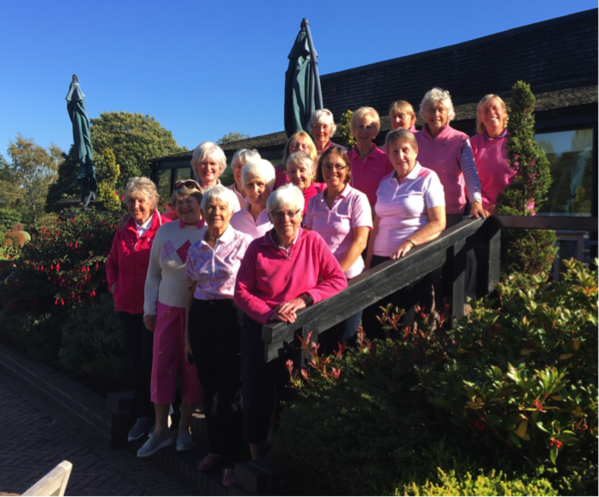 Breast Cancer Now’s “Wear it Pink” day is one of the biggest fundraising events in the UK and in support of this the KGC women golfers added an additional £1 to their entry fee towards this very worthy cause. A donation will be made of £100 to Breast Cancer Now! Once again the sun shone brightly and the morning women pictured above looked splendid in their pink outfits.